Do you ever lose yourself in YouTube videos or Instagram hyperlapses? I do! Especially when it comes to food or those amazing nail art painting hyperlapses. There is some serious talent on out there on the internet! The thing with these nail painting tutorials and hyperlapses is that they make these projects look so amazingly easy to do, until you actually try them! Nothing is more humbling than watching a professional YouTube video and then trying it out for yourself only to feel like a toddler with a box of crayons! I’m pretty crafty and creative, but when it comes to intricate painting or art, it’s just not my forte! 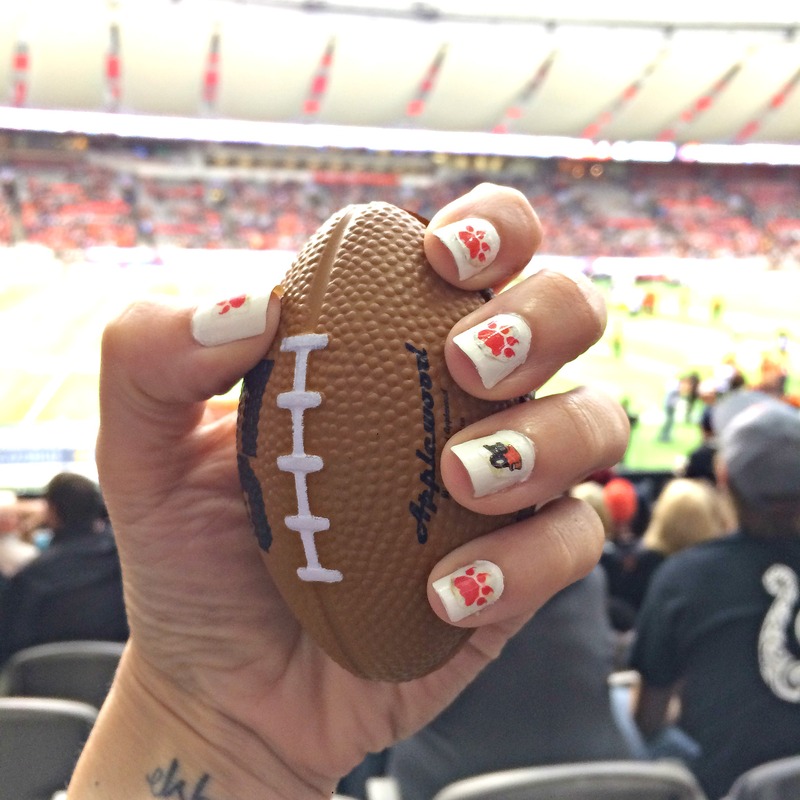 My daughter recently had the opportunity to take the field with our local CFL team, the BC Lions — Cheerleading as a Jr.Felion. I wanted to make the experience a little more special for her by painting her nails to go with the theme. 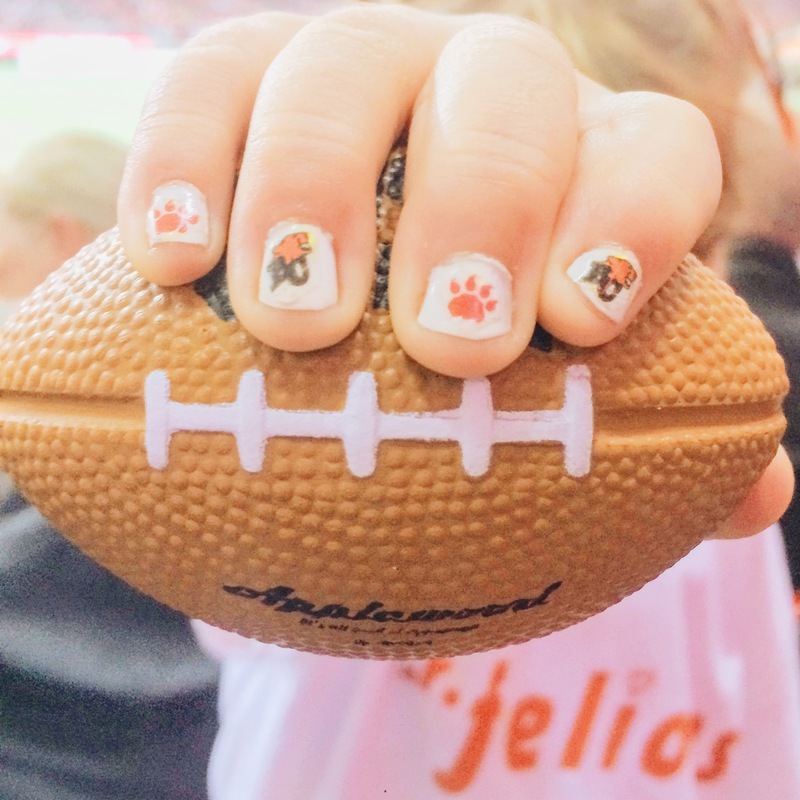 Unfortunately, as easy as I thought it would be paint the logo, a football, or even a lion paw print on her teeny tiny nails, it wasn’t. 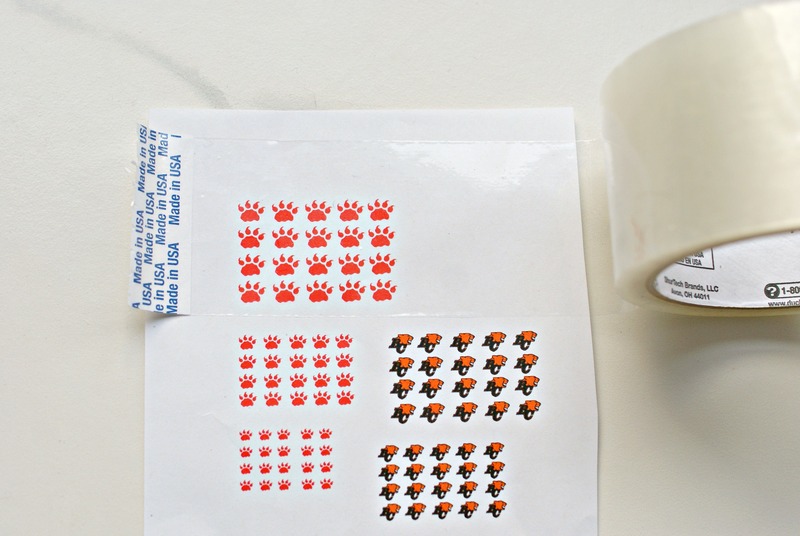 I recently posted a laser printer decal tutorial on my Facebook page and decided to try it out on a smaller scale and make DIY nail decals! 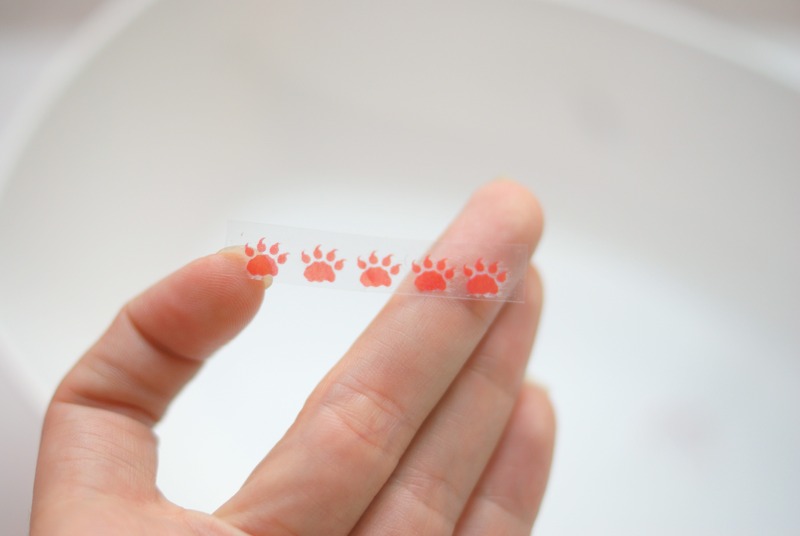 It was super easy, worked super well, and is so versatile, that so long as you have a laser printer and an imagination you can put almost anything on your nails! 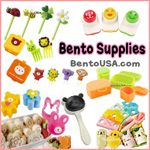 Start by printing out your desired print or logo onto a sheet of paper. It’s imperative that you use a laser printer, this will not work with an ink jet printer. 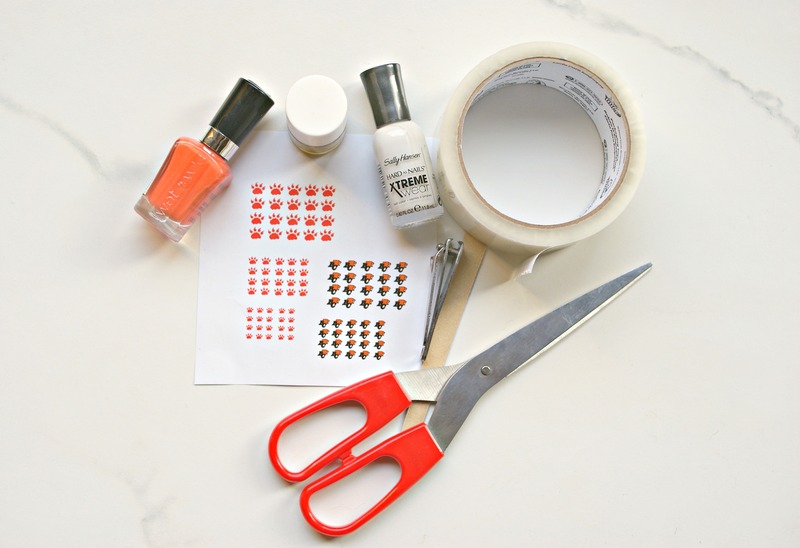 Carefully stick a strip of clear packing tape over top of the image you will be using for your DIY nail decal. Rub the top of the tape with something hard (a credit card, or even the handle of the scissors or nail polish will work) to ensure it’s fully stuck and there are no air bubbles underneath. Cut image into a manageable size. I cut into strips of 5 decals as this was easiest to work with. 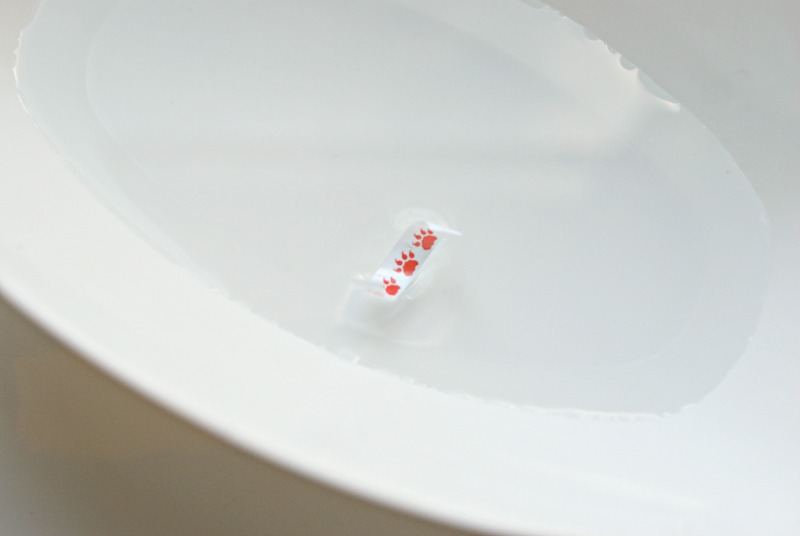 Put your strip of decals into the bowl of water and submerge. Let it sit in the water for at least 1 minute. Make sure the paper is completely wet and saturated before taking out of the water. 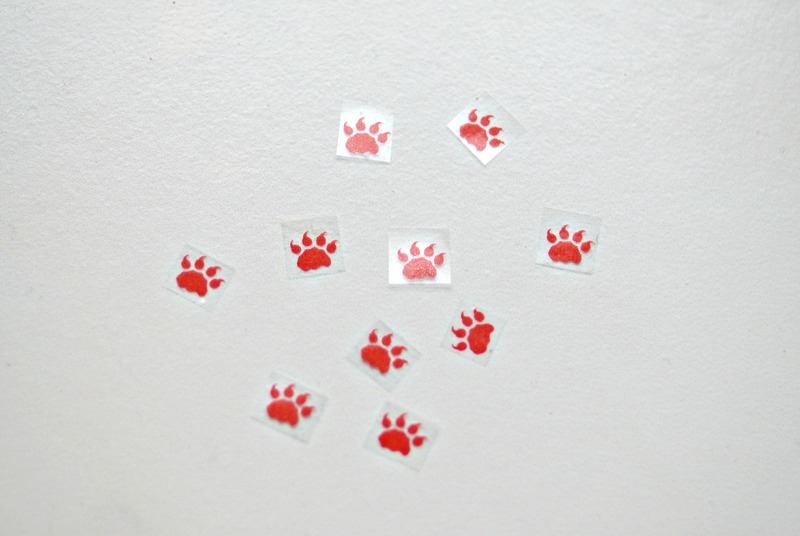 Next, remove the backing from your decal strip by gently rubbing the paper side of your decal between your fingers. This takes a bit of work, and don’t worry about being too rough, you’ll need to use a bit of force to get it off. 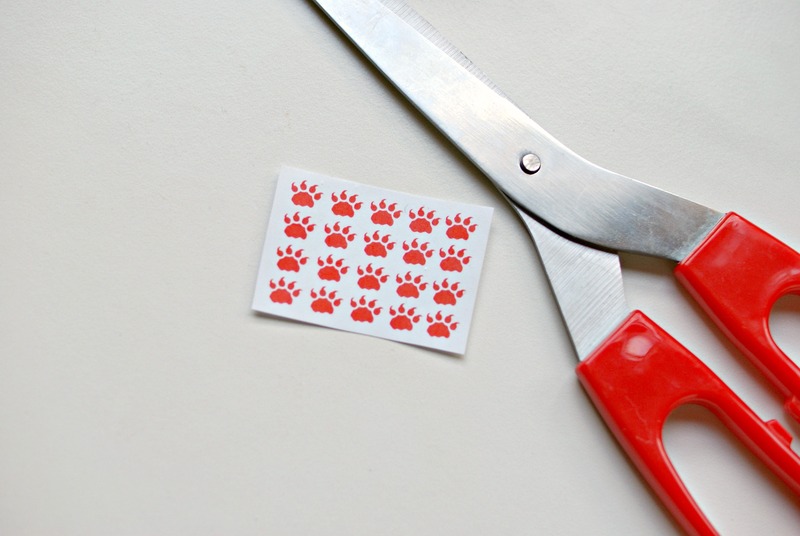 Once all of the backing is off, cut your image into the desired size for applying to your fingers. You may find nail clippers help with this, but scissors alone will work fine too. As my daughters fingers are a very small canvas, I tried to cut as close to the decal image as possible, however for my fingers I was able to leave the decal more square. Cutting the decal doesn’t have to be perfect, and try not too worry if you have too much excess around the edges. The tape will still be sticky and this will help with affixing it to your nail. Apply your base coat and color if you’re using one to your nail and allow to mostly dry. Apply nail decal to your base and gently press down ensuring the sides are down and attached to your nail. Lastly, apply your top coat and let dry. Have you ever tried one of those nail painting tutorials? Was it a win or a fail for you?